A few months ago, I read about this place called Sampling Lab, a brick-and-mortar consumer feedback “platform/store” opening in Portland. As a research geek who loves free stuff and sharing her opinion, I was super intrigued by the concept, so I immediately signed up. I kept meaning to actually go there and check it out, but it’s kind of out of the way for me. Today I finally decided I would drive the 15 minute commute (this is a considerable journey in a city of 20-minute neighborhoods) and see what it was all about. Sampling Lab is in NE Portland in the trendy and gentrified Williams neighborhood, which has seen a lot of new retail and housing development in the past couple years. You can visit Sampling Lab once a day and take something home, try it out, and leave feedback through an online survey, or you can do it right in the store. Walk-ins are welcome, or you can check their mobile app to see what’s in stock. I walked up to the employee behind the counter and he introduced himself. After a 30-second run-down of the concept, I was let loose to find the item I wanted to sample. I strolled through the place for a few minutes checking out the goods on display. The website advertises a selection of food, personal care, home and health/beauty products, so I was hoping for a larger variety – most of what I saw (if not all of it) was food related. Eew, Keurig cups! I wonder how these will go over in a local coffee-obsessed, environmentally friendly city like Portland. I was offered a beer right when I walked in the door. I see the benefit to Sampling Lab of giving people free booze when they come in – you get people to sit down on the comfy couches and hang out, and start chatting with others (or with the staff); they potentially share even more feedback about the place, the goods in stock, etc., beyond the basic survey that’s taken about a particular product. And, what beer loving person doesn’t love a free brewsky? It’s win-win. I needed something for dinner, and while I was tempted by the multi-grain, bleach-free, non-high fructose corn syrup loaf of Dave’s Killer Bread, I chose the Skillet Refried Red Beans from Better Bean Co. I had never heard of them before, but I looked them up (after my meal so as not to bias my experience) and found out they’re a local company (based in Corvallis, OR) with an interesting back story. There was a good representation of local, non-conglomerate products/companies here, rather than the place being full of crap from Kraft, Unilever, Coca Cola, etc. and the other handful of companies that own most processed food in the world. Though I’m sure SamplingLab wouldn’t mind if they landed that kind of client. Sure enough, the “receipt” from my visit was in my email, with the link to take the feedback survey. 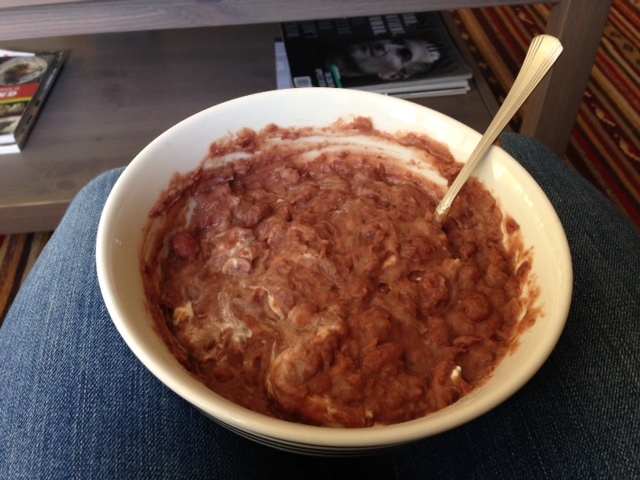 I cooked my beans according to the suggested process (saute until crispy) and mixed in some cheese and sour cream. 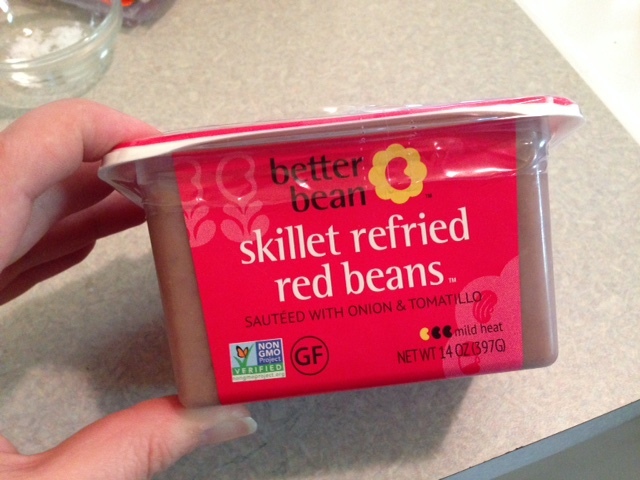 They were surprisingly delicious and tastier than other refried beans I’ve had before. Let me just say I’ll buy them again if I see them around. When I was finished, I clicked the survey link and was brought to a page where I selected the product I wanted to review. Above is a full-page screen shot of the survey (click to enlarge.) I liked the questions and felt that overall the survey was well-designed. One thing they could do differently is anonymize the survey and not tie it back to names/email addresses, and figure out another way to keep track of survey completion. I also suggest they implement a way for people to upload photos and videos of themselves using the product – they’ll have to incentive a bit more for this probably, but it could yield some additional info beyond a survey. 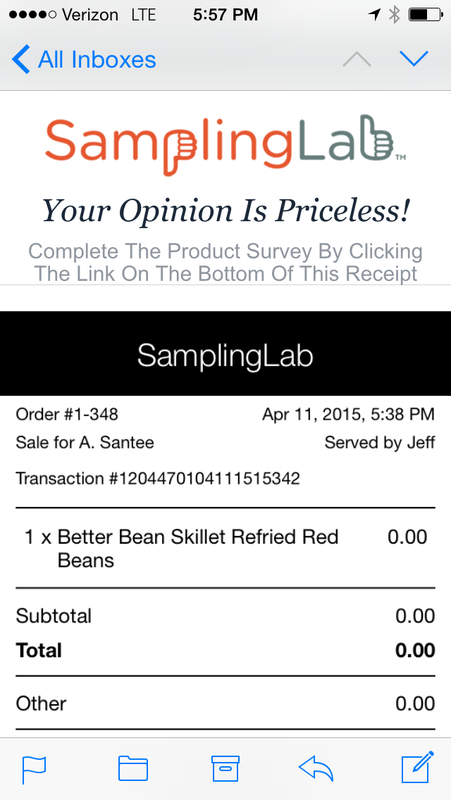 I like Sampling Lab as a method for getting high-level, mostly quantitative feedback on products. Clearly they have some opportunities here to do additional, more in-depth research with people (participatory design, interviews, usability, etc.) I look forward to seeing how this place evolves, and to my next visit! Interesting concept. Are the brands more local or were there bigger manufacturers also? I ask because it seems to be a more effective and affordable way for smaller companies to share new products and get constructive feedback, unlike they would get let’s say at a farmers market where people walk away with a tiny sample. From what I could tell, there were a lot of local (Portland/Pacific NW) brands. I agree with you that it could be an effective way for smaller companies to get high-level feedback on existing products/products in development. It makes a lot of sense for Portland because we have tons of small companies producing artisan products that have gone big time – e.g., Jacobsen Salt and Olympic Provisions, to name a couple.